LDV Hospitality’s Regent Cocktail Club at the Gale South Beach, known as Miami Beach’s most cultured cocktail bar, announces the official launch of bi-monthly bartending classes open to the public. 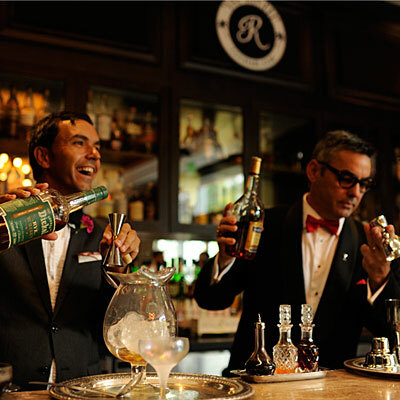 Starting Friday March 6th, from 7-9 p.m., Regent’s exceptionally talented team of bartenders will offer a comprehensive introduction to fundamental bartending techniques and etiquette. Each class will have a featured spirit and special guests from the select brands will join to share first-hand insight about the premier liquor. Participants in the class will leave with a greater knowledge of cocktail recipes, methodology and the history behind the featured spirit. As guests discern the different flavors of spirits, they will learn what it pairs best with and the techniques to prepare a perfect cocktail at home. Light appetizers will be provided by Dolce Italian to compliment the tastings.